Essel Bailey is a lawyer and private investor with a long involvement in healthcare services to the elderly. He has organized and run two public companies and served as a director of several publicly listed companies. He has spent the last 30 years working with capital markets, investment banks and other financial organizations in real estate, finance, healthcare and manufacturing in the United States, the United Kingdom and Australia. Dennis Bernard is the founder and President of Bernard Financial Group and Bernard Financial Servicing Group. Founded in 1991, BFG has grown into the largest commercial mortgage banking firm in Michigan, financing on average over $1 billion yearly. Dennis has been involved with over 1,200 commercial real estate financial transactions totaling over $18.6 billion. He specializes in both debt and equity placement with commercial lenders and institutional joint venture participants. 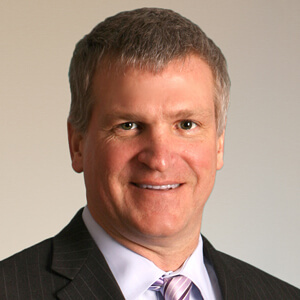 Tim Damschroder is the co-chair of the Business Law Practice Group of Bodman PLC. He specializes in middle market M&A transactions, corporate finance, and corporate counsel to numerous businesses with both local and worldwide operations. His activities involve companies in a broad range of industries including software, IT, big data, pharma and other technology based industries, manufacturing, publishing, automotive, aerospace, transportation, large retail, food and beverage, construction and healthcare. Robert Holland moved to the Ann Arbor area in 1970 to start the country’s first computer curriculum in a College of Business, and served the academic community as a Professor and Department Chairman for eight years. He went on to become CEO of four different technology organizations in Ann Arbor and established numerous industry-first technologies, including: automated network engineering, information engineering and online systems. 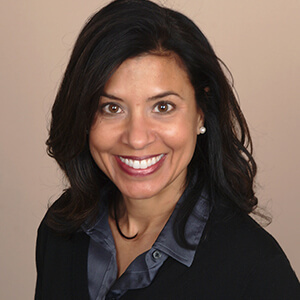 Ann Marie Sastry is President and CEO of Amesite, an artificial intelligence software company. Dr. Sastry was previously President, CEO, Board Director and co-Founder of Sakti3, recognized as one of MIT’s 50 Smartest Companies (2015), and as at Crain’s Detroit Business Cool Places to Work winner (2017). Prior to starting her companies, she was Arthur F. Thurnau Professor (UM’s highest teaching honor) at the University of Michigan, for 17 years. 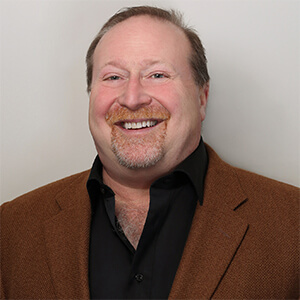 David Sarns has 25 years experience in leading global organizations in the investment and securities field. He spent 12 years at SG Cowen Securities Corporation as a Senior Portfolio Director and eventually served as both the Chief Administrative Officer and Director of Strategic Development. Previously David was Chief Operating Officer and Managing Director at Rockefeller & Co., Inc. 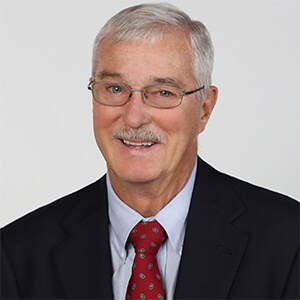 Founder and President- Keystone Properties, Inc.
Bill has been involved in investment properties in Michigan and California since 1968. As CFO of Hartland Schools he was responsible for financial and building operations, new construction and union contracts. After several years in Michigan state government, Mr. Bailey spent 16 years with the Detroit law firm Dykema, Gossett where he was a partner. He left the firm in 1987 to organize and capitalize several public and private companies and founded Omega Healthcare Investors and Omega Worldwide Inc, both public providers of healthcare finance, the latter in the UK and Australia. He retired from public companies in 2000 and organized a private company providing healthcare services through retirement communities, assisted living and nursing facilities. He serves as a director of nonprofit organizations related to mental health, education, and is active on conservation issues, serving as an officer of the Michigan chapter of The Nature Conservancy and as a supporter of the College of the Environment at Wesleyan. He is also chair of the Economic Dinner Group, a town-gown organization at the UM in Ann Arbor. He continues as a director and a principal owner of companies engaged in real estate, healthcare services to the elderly and the production of the premium California wine, Knightsbridge. Essel was raised in Michigan and educated at Cranbrook School and Wesleyan University in Middletown, Connecticut, where he served on the Presidents Council. He also holds a JD degree from the University of Michigan Law School. He and his wife Menakka reside in Ann Arbor and Calistoga, California. Dennis holds a Bachelors' in Finance from Miami University, and an MBA specializing in Finance and Strategic Planning from Case Western Reserve University. He has been a lecturer on real estate finance at the University of Michigan's Graduate School of Business and has been an editorial contributor to The Wall Street Journal, Commercial, Inc., and Crain's Detroit Business. Most importantly, Mr. Bernard goes home for dinner every night and spends the weekends with his family. 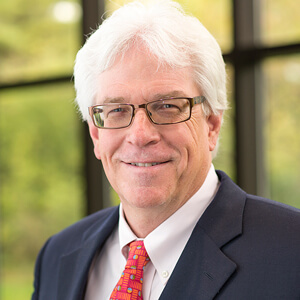 Tim has been named Ann Arbor Lawyer of the Year by The Best Lawyers in America for M&A Law and Corporate Law and is listed as one of Michigan’s top corporate lawyers by Chambers USA. 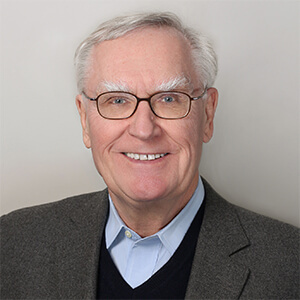 He has long been active in the Ann Arbor community having served on the boards of United Way, Peace Neighborhood Center, Red Cross, St. Joseph Mercy Health System’s Development Council, Zion Lutheran Church and NEW Center. He is currently the chair of the Michigan Health Endowment Fund. Tim is a graduate of the University of Michigan and University of Detroit School of Law. 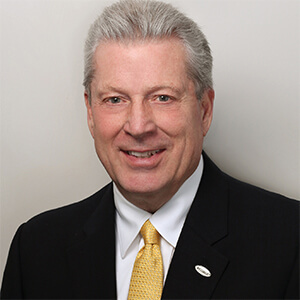 He is currently Chairman of two Boards, Computer Information Systems, and Limbic Connection, Inc., and serves on the board of Directors of various organizations, including Busch’s, Inc., Acumax Index, Inc., Vistage Michigan and Convergent Systems Corporation. Bob has a Bachelor of Engineering, a Master of Science in Operations Research, and a Ph.D. in Systems Engineering. Ann Marie Sastry is President and CEO of Amesite, an artificial intelligence software company. Dr. Sastry was previously President, CEO, Board Director and co-Founder of Sakti3, recognized as one of MIT’s 50 Smartest Companies (2015), and as aCrain’s Detroit BusinessCool Places to Work winner (2017). Prior to starting her companies, she was Arthur F. Thurnau Professor (UM’s highest teaching honor)at the University of Michigan, for 17 years. Sastry was recognized with some of the highest honors in her fields, including the ASME Frank Kreith Energy Award (2011) and NSF's Presidential Early Career Award for Scientists and Engineers (1997). She has co-authored over 100 publications and 100 patents and filings, and has delivered over 100 invited lectures and seminars globally.Sastry is active in philanthropy and business mentorship, with a focus on education and poverty alleviation. She holds PhD and MS degrees from Cornell University, and a BS from the University of Delaware, all in mechanical engineering. He took a lead role in the implementation and transition of the company from a family office structure to a commercial enterprise offering a broad range of wealth and investment management services. He currently manages 360 Advisors, LLC, an advisory firm offering investment and management services to SI Company, a family partnership. He also consults with independent companies and money management advisors. David holds BA degree from Michigan State University and an MBA from the University of Michigan. In 1981 he joined Comshare, Inc. as Director of Real Estate and Facilities and was responsible for leasing, designing and building their sales and corporate offices in North America and England. In 1986 he continued working for Comshare on a contract basis while developing other similar clients and continuing to grow his own real estate investments. To manage his investments, in 1983 he co-founded Keystone Properties, which peaked at over 50 buildings. Bill has an MBA from Eastern Michigan University.